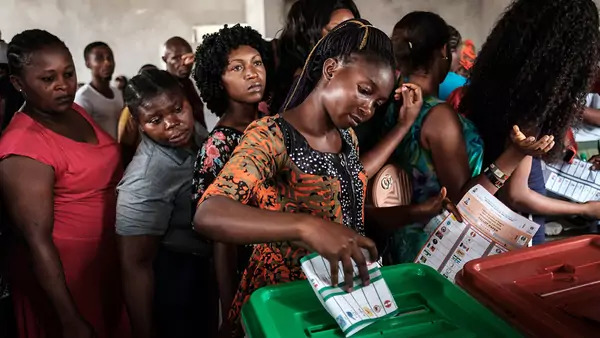 As has been the case in the past, election irregularities in the Niger Delta appear to have been particularly bad in the national and gubernatorial elections of 2019. For example, on March 9, the minister of transport sent a military force into Rivers State, causing many to flee. In the melee, dozens of civilians were killed and opposition politicians were locked up. In the face of criticism, the Nigerian government has since set up a panel of inquiry to look at the use of the military during the elections. However, a positive development has been the mobilization of women to counter election irregularities. Facilitated by the non-governmental organization Academic Associates PeaceWorks, more than one hundred Niger Delta women met on March 21 in Rivers State capital Port Harcourt to share stories and lessons learned about how they had pushed back against voter intimidation, especially by the army. For example, in Okrika and Ogu/Bolo local government areas, women spent three days and three nights at an election center to prevent the military from stealing the election materials. Unlike elsewhere in Nigeria, women in the Delta hold a special status, especially if they are wives and mothers. Hence, demonstrating women are mostly untouchable, rendering the security services impotent. Their special status and the cultural norms at play recall the Black Sash during the anti-apartheid struggle in South Africa. The Black Sash was made up of middle class white women who were essentially untouchable by white, mostly Afrikaner police. The Rivers State elections, which were suspended, will be re-run on April 13. In an especially encouraging development for democracy, the women who met on March 21 are organizing themselves into groups and sub-groups to protect their vote and the election process.